The gallery has been updated with screen captures from “The Magicians” episode 4×10 – All That Hard, Glossy Armor and with stills from 4×12 – The Secret Sea. The gallery has been updated with screen captures from “The Magicians” 4×09 – The Serpent and with episode stills from 4×11 – The 4-1-1. 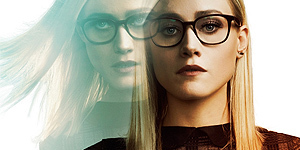 The gallery has been updated with screen captures from “The Magicians” episode 4×08 – Home Improvement and with stills from episode 4×09 – The Serpent. Thanks to my friend at Arjun-Gupta.com for the stills! The gallery has been updated with screen captures from “The Magicians” episode 4×07 – The Side Effect and with stills from episode 4×08 – Home Improvement. Thanks to my friend at Arjun-Gupta.com for the stills! The gallery has been updated with screen captures from “The Magicians” episode 4×06 – A Timeline and Place. Such a great episode!